When you use the right methods and strategies, SEO can definitely be beneficial to your business. When executed correctly, good SEO can boost your rankings, improve brand awareness and even increase profit to some extent by increasing the number of links to your page. 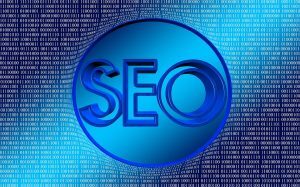 However, many business owners assume that hiring an SEO agency or professional is suddenly going to fix all of their problems. Once they’ve hired an SEO professional to take over the job, they expect a huge influx in traffic and a massive spike in sales overnight. Unfortunately, it doesn’t quite work that way. Although SEO is definitely beneficial and necessary, it’s not the miracle fix you were hoping for. Although they say that content is king but links are gold, bad content can still hurt your site and really bad content can cause that much damage that no amount of SEO can help it. Interesting content will engage your audience and lead to more shares, both of which play a role in your website’s ranking. If you’re not investing in really good quality content, it could mean that all your best SEO efforts are in vain. Both your visitors and search engines much prefer sites which are easy to navigate, can be viewed properly on mobile devices and are professionally designed. If your traffic is plummeting because visitors can’t find their way around your site due to a bad design, no amount of SEO is going to do much for your bounce rate. Good SEO can eventually lead to a sales boost, but you should never rely on it to guarantee more sales. In order to convince potential buyers to go ahead and make the purchase, it takes much more than just SEO – you’ll need convincing copy, a good product description and a great product or service. Although SEO leads to more opportunities to make sales thanks to higher rankings and increased traffic, it’s down to you to make sure that all of those extra leads convert. Yes, good SEO can definitely give you more exposure and put your brand out there in front of a larger audience, but it won’t engage your audience for you. In order to improve brand engagement with your audience, you will need to use a separate strategy, for example social media or blogging. What? SEO doesn’t guarantee rankings? Yes, it’s true – whilst SEO is designed to improve your rankings, it can’t guarantee that you’ll ever get to number one. It can take some time for a solid SEO strategy to start seeing results, and often other factors, such as a questionable site history, can affect the time it takes to achieve a good ranking even further. Whilst there are plenty of things that SEO can’t do for you, it’s important that you don’t ignore it! With the right strategy for each of the above points separate to your SEO strategy, you can ensure that you get the best results.